We finally sold our Kawasaki ZZR1400. A couple had come up from Cheshire to look at it between Xmas and New Year, and now let us know that they wished to go ahead. Colin agreed to meet them with the bike just outside Leeds, and caught the train back. The next week we started to look for a Yamaha FJR1300, the bike we’d decided should replace the ZZR. Exactly the model we were looking for was available in Bedlington, and so we did the deal. Being near the end of January and in the middle of winter we decided to postpone picking up the bike until 1st March, which meant a 17 plate. We went to see The Play That Goes Wrong at the Theatre Royal in Newcastle. It was hilarious, the fun starting off in the foyer beforehand when the cast went searching for a missing dog. Near the end of the month we spent a couple of nights in Bedford, as part of our search for a suitable venue for the family reunion Colin was planning on holding. Unlikely though it might seem, and against our expectations, we settled on the Radisson Park Inn. It was a good choice, as the subsequent reunion in October proved. At various times in the month we saw The Commitments and the Danza Contemporania de Cuba at the Theatre Royal and the Transatlantic Sessions at the Sage in Gateshead. St Andrew’s OS put on The Sorceror, in which Colin played a local farmer. Colin’s group Backshift was invited to play at the Cutty Wren Folk Club in Redcar. 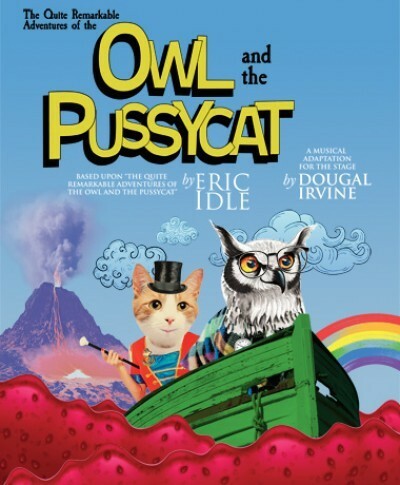 Finally, we spent a night in Coventry in order to see Dougal’s musical for children “The Owl and the Pussycat”, based on Eric Idle’s book based on Edward Lear’s poem. Rob and Sandi also came over for the performance. While we were there we had a good look round Coventry, including finding the remains of a factory (GEC at Spon Street) where Colin used to work and visiting the excellent Motor Museum. It was Pat’s 70th birthday, and she decided we’d celebrate it by spending a few days in Aberdeenshire, where she was born and spent her early years. So we spent a couple of nights in Inverness and a further three in Banff. We kept a separate diary of the trip here. Back in Washington Pat entertained her cloggie friends to a birthday tea party. We also picked up the new FJR, Pat driving Colin up to Bedlington and carrying the panniers back in the car – Colin wanted his first attempt at riding the bike between the garage and house to be as easy as possible! We shortly had our chance to go out together on the new bike, on the first NAM senior ride-out of the year. This was a ride south on the A68 then along Swaledale and back up skirting the Pennines. Perfect for running in! At the Theatre Royal we saw Peter James’ Not Dead Enough. Pat flew to the USA for Easter, staying with Jean and her family. In the meantime, with impeccable timing, Alison and Mick came to stay a night with Colin during their annual tour of the UK. Also staying with us this month were Jay, an old UKRM friend, and his partner Faye. The end of the month was marked by our annual May Bank Holiday weekend with many UKRM friends in France, this time a return visit to Dieppe. Mark and James had sailed over from England for that weekend, so we met up for a wander round the town and a look round their yacht. Two of Colin’s friends from St Andrew’s OS, Phil & Liffy, were getting married, so we were happy to attend their evening do. We travelled there and back on the Metro, so were quick to obtain a bottle of bubbly before even finding a seat. Colin had been asked to plan and lead a NAM chip shop run (a Tuesday evening run rather than the longer Sunday runs, ending at the usual club meeting place for bought-in fish & chips). Colin’s route was much praised! We went to see the farce Out of Order at the Theatre Royal, which turned out to be every bit as funny as we’d hoped. For Whit we joined a crowd of NAM members for three nights in Fort William. We stopped on the way up for our first sight of the Falkirk Wheel (very impressive), then enjoyed the ride over Rannoch Moor and through Glencoe to Fort William. We had two rideouts from there, one to Ardnamurchan Lighthouse and the other a circular route to let us walk to the Glenfinnan viaduct. Iris and Arlo accompanied Pat to Edinburgh on the train for a day that included climbing the Scott monument, a good visit to the zoo and some entertaining street performances, rounded off by a picnic in Princes Street Gardens. We had Colin’s nephew Dougal to stay, just for one night, while Rhiannon went on a hen night. Their friends were getting married in Northumberland. Colin’s group Backshift had a booking at Guisborough Folk Club, then it was time to head for Birmingham, to spend the day at Gardeners’ World Live at the NEC. We let the train take the strain and had a great time, Pat in the flower marquee and Colin at the Food Show. Monty Don’s talk was booked up so we heard Carol Klein instead and Pat was inspired to rework a flower bed at home to include some of her recommendations. Colin had fancied spending a few days in his home village of Lyndhurst, so that’s what we did. As well as visiting old friends Jean and Terry, we took the opportunity to look up a couple we’d met skiing the previous December – Paul and Sue. On the way back we spent the night with Rob and Sandi at their cottage in the wilds of Norfolk. Very nice and peaceful, but not easy to get to! One of Colin’s mandolin heroes, Sierra Hull, was playing at the Cluney, but the afternoon before she held a workshop at the Sage, which Colin attended. She turned out to be as friendly and modest as she is talented, and Colin learned a lot. The month ended with a couple of concerts by St Andrews OS, comprising the usual mixture of musical genres. We saw the National Theatre and Bristol Old Vic’s production of Jane Eyre at the Theatre Royal. Wonderful! Pat’s cousin Linda brought Aunty Joan to stay in her Sunderland flat for a few days and organized a tea party for her family, a chance for Pat’s Mam and Joan to see their brothers and sister-in-law. Finally, we attended the dress rehearsal for Ellen’s dance troupe’s performance in Disneyland Paris. A very high standard from girls of all ages, particularly from Ellen who seems to have a natural talent for dance. Backshift were playing their usual mixture of concerts and sessions at Saltburn Folk Festival, and the weekend was as enjoyable as usual. We spent an afternoon at Newcastle Mela. The weather wasn’t particularly kind, but we had a good wander round the stalls and some nice, authentic Indian nosh. Liz treated Pat to a spa day at Rudding Park, the very height of luxury and great fun. Liz had won a monthly visit for two in their grand opening draw. Then it was down for a night in London, principally to see our financial advisor at Holden Partners, but also to make a long-awaited visit to the Red Fort. Alas, it was not to be. Pat was feeling really quite poorly, so Colin left her to suffer in peace while he nipped up the road to the excellent Covent Garden Masala Zone! Time for our (late) summer holiday. 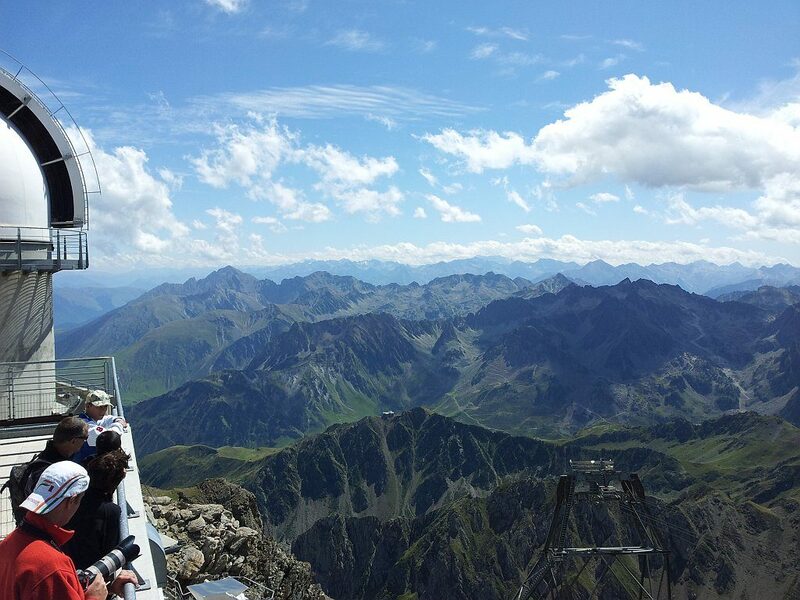 The PEMC were spending 2 ½ weeks touring Eastern Europe, so we joined them. We had a great time. We kept a diary of the trip, which you can find here. At the end of the month Pat’s brother John flew over from New England to spend a few days here and see Pat’s Mam. The Carricks were staying with us, spending a morning with Pat at the Jurassic Kingdom exhibition in Newcastle. Joined also by Mark’s family, Julie’s family, and Liz and Mike we also managed a huge family lunch at Washington Arts Centre. We went to see the Russian State Opera’s production of Tosca at the Tyne Theatre and Opera House. We loved the music, but found the performance a bit static. Colin had been invited to give a talk to one of the NAM monthly meetings, and this was the month he chose. He spent the first half describing the trip he and five others took in a VW Microbus overland to India in 1970, and the second half presenting a few tips and hints we’ve picked up in 60k miles of touring Europe. The talk was well attended and well received – so much so that Colin agreed to arrange a short trip to the continent next year for any interested first-timers. Pat enjoyed a pamper day with Julie at the spa at Ramside Hall, a much delayed birthday present. Then it was time for the Irvine family reunion which Colin had organized. The Radison Park Hotel in Bedford had promised to make us welcome for a very modest cost, and indeed they did. Some of us chose to spend Friday to Sunday there, others just came for the Saturday afternoon buffet. A total of 38 turned up, ages ranging from 2 to 71 years old. A real success, which Colin hopes to repeat in 2020. We went to see Shirley Valentine at the Theatre Royal, starring Jodie Prenger. We were worried we’d been spoilt by the excellent film version some years ago starring Pauline Collins, but we hadn’t been. We loved the play, were in fits of laughter at Willy Russell’s script and thought Jodie perfect for the part. Beamish Open Air Museum (where Colin plays every month) was holding Halloween evenings, so we volunteered to help out at one of them. Hard work. Three-quarters of Backshift (missing Eric) played at a special evening at Cramlington Folk Club. Vin Garbutt was originally to have been the guest, so after his sudden death the folk club decided to turn the night into a tribute to him, with several invited guests playing for free and the proceeds going to one of Vin’s favourite charities. We reckoned Vin would have enjoyed the evening! Colin started playing for Step This Way, an Appalachian Clog Dancing team with whom Pat has occasionally danced in the past and co-led by a friend of ours. At the NAM AGM Colin was elected Treasurer. There’s a lot to do (there are over 200 members including some 30 Observers) and he’s relishing the prospect. We went to see Beautiful, the musical based on Carole King’s life story. Utterly fantastic, and highly recommended. Then we had our friends Dana & Sue Robinson to stay, just for one night. They were playing a concert in Sedgefield, which we attended, and were going up into Northumberland the following day. We finished the month with two birthday parties on the same Saturday – Alison Tonge’s 65th in the afternoon and Doreen Henderson’s 90th in the evening. Backshift played at the former and Colin was one of a large number of performers at the latter. A number of Colin’s old university friends were making their annual trip to the Varsity match at Twickenham, preceded by an extravagant lunch, and this year they persuaded Colin to join them. He enjoyed the day, but found the rugby not very absorbing. We had a week’s skiing in Obergurgl, staying at our favourite hotel – the Alpenaussicht. It was nice meeting up again with Krisztina, our friend on the staff there. The weather was mixed but the snow was fantastic. Unfortunately Colin picked up what turned out to be bronchitis half way through, but it didn’t spoil our holiday. We’d pretty much skied ourselves to a standstill anyway! On the drive back from Gatwick we called in on Kate, getting settled in her (temporary) new house just outside Newmarket. She She is now head of Clinical Pathology at the Animal Health Trust. If you click on her name there you’ll see quite an impressive CV! For Xmas we had the usual visits from the Carricks and the Slaters. We had a look on New Year’s Eve at what was on locally. To our shame a take-away in front of Graham Norton and Jools Holland won!